If you’ve ever searched for a place to send your crocheted things that will do some good, this segment is for you. 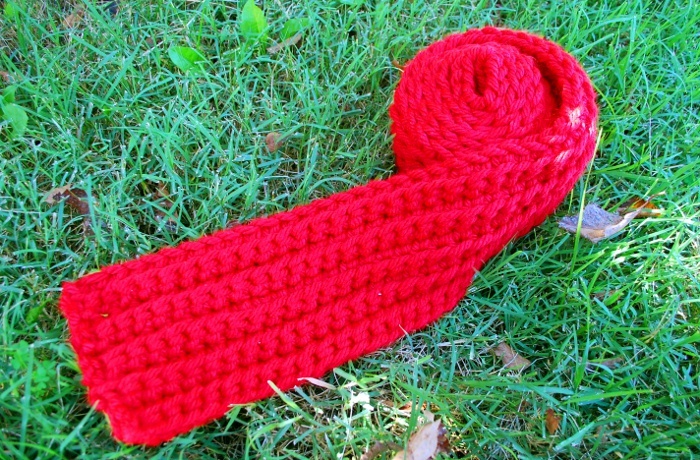 Today we’re going to take a look at another crochet-related charity, the Red Scarf Project. The Red Scarf Project is a subsidiary of Foster Care to Success, a nonprofit organization focused on supporting teens leaving foster care and heading to college. Since 1981, Foster Care to Success has provided scholarships, grants, care packages, mentoring, emergency funds and more in an effort to help young people who may have nowhere else to turn succeed as they begin life on their own. More than 50,000 foster youth have received aid of one kind or another since the organization’s beginnings, and they currently serve about 5,000 youth a year. About a decade ago, an anonymous volunteer at Foster Care to Success had an idea. They were already sending care packages of snacks, toiletries, and necessities to former foster kids, partially to help them feel as though they had family support. 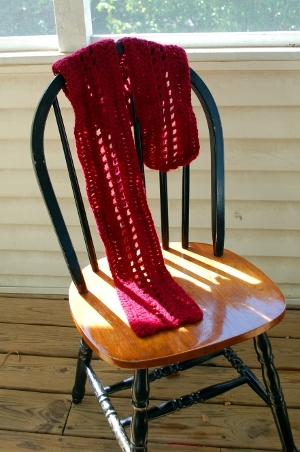 Wouldn’t it be nice to send something personal as well, like a handmade scarf? With more than 3,500 packages mailed annually, she didn’t see how it could be managed. Lynn wasn’t counting on the internet, however. Once the word got out, knitters and crocheters began mailing in scarves by the hundreds, forcing the team to scramble for places to put them all. The first scarves shipped in 2005, and more have gone every Valentine’s Day since, with more than 20,000 scarves sent to date. LOVE the first issue! Please keep up the good work!